Days after millions of people from Vladivostok to Kaliningrad celebrated Russia Day with outdoor events, the US State Department officially congratulated Russians on the June 12 holiday – in a statement the Russian Foreign Ministry said it never received. In a press statement published on the State Department website on Thursday, US Secretary Rex Tillerson congratulated “all the people of Russia” on the holiday on behalf of US President Donald Trump. 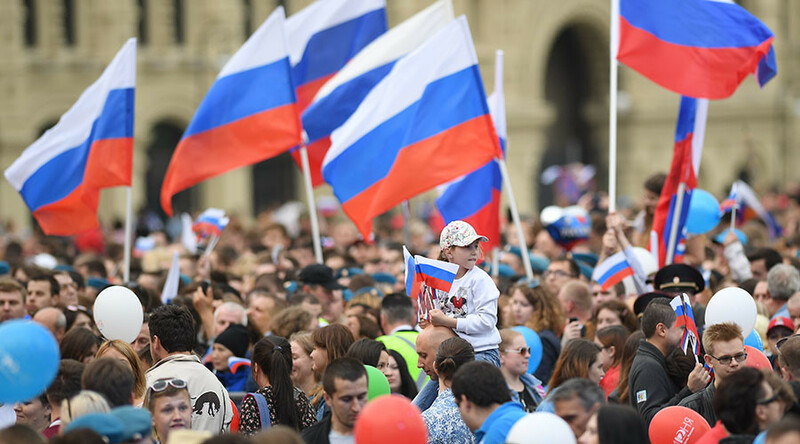 The otherwise routine congratulatory statement would have hardly attracted attention if not for its timing, a whole three days after Russia marked the 26th anniversary of its independence from the Soviet Union. The lack of any congratulatory message from Washington on the day of one of the major Russian public holidays came as an unpleasant surprise to staffers at the Russian Embassy in Washington. “This is happening for the first time as far as we remember. Draw your own conclusions,” Nikolay Lakhonin, the embassy’s spokesman, told Sputnik news agency on Tuesday, referencing the lack of a congratulatory message Monday. According to embassy sources, Washington broke with a 25-year tradition with its inexplicable silence on the matter this year. The State Department press service, however, played down the issue, attributing the change in longstanding practice to a reviewed approach taken by the Trump administration with regard to diplomatic protocol. In a brief comment to TASS news agency on Wednesday, the State Department said that in accordance with new State Department rules, US embassies located in the capitals of respective countries are the ones tasked with handing over congratulatory notes on behalf of Washington. “We don’t convey congratulations in the form of press releases anymore, but we publish them on our website,” the spokesman said. However, the new approach seemed to not have taken root as of yet, with Russia’s Foreign Ministry spokesperson Maria Zakharova saying Thursday that the ministry has so far not received a word of congratulations from the US embassy in Moscow. She went on to argue that the State Department’s own explanation is not convincing in the slightest, since “from the beginning of June, Washington has congratulated Italy, Sweden, Georgia, Azerbaijan, the UK, Portugal and Philippines online,” while Russia has missed out. “There is an impression that our colleagues have mixed something up: either they are in confusion about what practice to follow, or what explanation to provide. It is very hard to understand, what is going on there, the situation is funny,” Zakharova said. Pointing that by devising opaque explanations the State Department might as well simply want to “justify the lack of knowledge of diplomatic protocol,” Zakharova did not exclude that the situation could be a result of anti-Russian hysteria reaching a new high in the West. “Perhaps, amid the global anti-Russian panic [they] are literally afraid of saying any kind words to Russia,” she said. 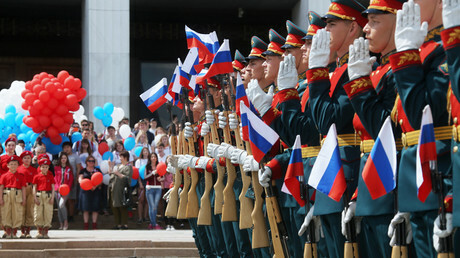 Russia Day has been celebrated since 1992. In 1994, it was declared a public holiday, commemorating the declaration of Russia’s independence from the Soviet Union on June 12, 1990. This year, over 7 million people took part in the festivities across Russia, according to the Interior Ministry. 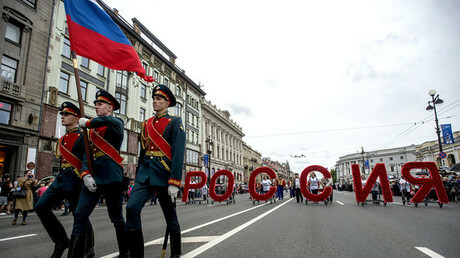 In Moscow, over 2.5 million people took to the streets to celebrate the occasion. 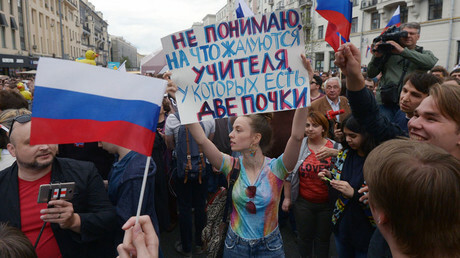 Around 3,000 events were staged across Russia, and saw people marching with national banners, taking part in motorcycle and cycling parades and enjoying summer festivals.